Product #6659 | SKU 165MV | 0.0 (no ratings yet) Thanks for your rating! The Manfrotto 165MV - On-Ground Tripod Spreader for tripods with spiked feet. 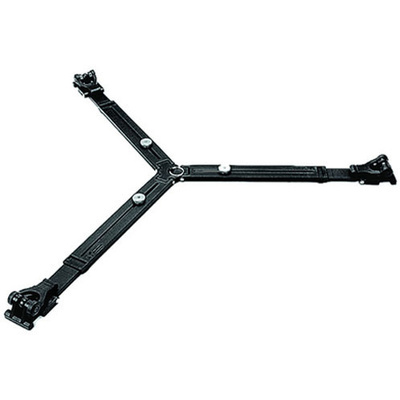 This device has variable diameter width adjustment to accomodate tripods from 80 cm to 130 cm in leg spread. Compatible with 546B tripod series.